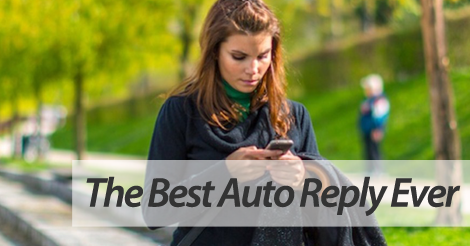 Simply put, your SMS marketing auto reply is crucial to your success. If it doesn’t include these four elements, you’ll easily see a drastic increase in immediate opt outs. And obviously, that’s no good. How can you reap the benefits of SMS marketing when you can’t even get subscribers to stay engaged? With that said, make sure your auto reply is in tip top shape. On top of following all compliance standards, your auto reply should include these four components. First things first, you want to make the subscription wasn’t an accident. Sure, growing your list is ideal, but you only want to engage with qualified subscribers. Thanks for joining the Bob’s Burger’s VIP Text List! This is probably the most obvious component. People are opting in for a reason. They want to receive valuable offers, and continue to reap the rewards of being a loyal subscriber. Your hook might look something like this. Show this text for a free 32 OZ beverage with any to go order. You must make a frequency promise, and stick to your word. Err on the side of overestimation, as this gives you a cushion to work with. For example, let’s say you own a restaurant, and you’re giving SMS marketing a go in the new year. You think you’ll realistically only send 4 campaigns a month, but could see yourself firing out six during your busy times. Play it safe, set your frequency at six messages a month. Stay transparent. Don’t twist your subscriber’s arm to opt in, and don’t be shady about offering opt out details. Not only would this be poor practice, but it’s also completely against compliance standards. Include this statement at the end of your auto reply. Now when you put all this integral pieces together, your auto reply will look something like this. Partner up with top SMS marketing service, Slicktext.com. We want to focus on bridging the gap between user and mobile. Aren’t familiar with mobile marketing? Don’t sweat it. You too can learn how to be an SMS marketing pro. Give us a ring at 1.800.688.6290 or head over to the pricing page and sign up for a free plan.